First American edition. Octavo. xvii, 316 pp; 28 b/w plates + b/w drawings in the text; bibliography; index. Cloth-backed boards with dustjacket. Near Fine/Near Fine. 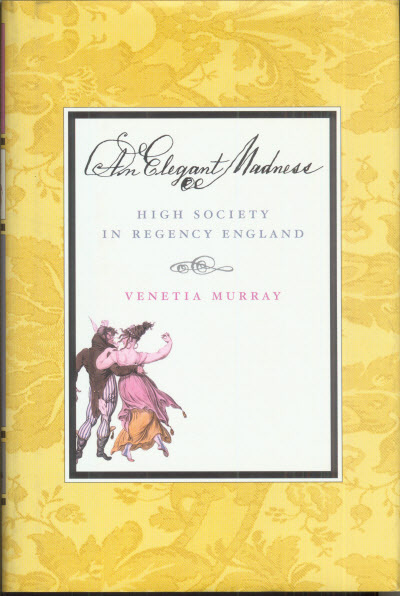 A social history of the Regency, an era of lavish parties, ferocious gossip, relentless bed hopping, and notorious gambling that set a new standard for elegance and vulgarity.